One of our favorite players retired officially this week as CB Samari Rolle hung up his cleats. Below are some thoughts on his career; you can see how he compares in impact to other players who have retired this offseason in this post. Rolle only made one Pro Bowl, but he was a long-time asset at corner for the Titans and the Ravens. During his best years, he was a No. 1 caliber corner who was both physical and fast. He was a big reason the Titans made the Super Bowl, and he also played on some of the great Ravens defenses of the last decade. He won’t make the Hall of Fame, but Rolle leaves knowing he made the most of a fine NFL career. The big moves on the free agent market are winding down, but as they do there are a couple worth noting. So we’ll compare the moves from the last 3 weeks (March 21-April 10) to each other, with 10 being the most significant of the week and 1 being the merely mentionable. For looks at previous moves, click on the part 3 post and then follow the links there for opening weekend, week 1, and week 2 relativity comparisons. 10 – Bears (add OTs Orlando Pace and Kevin Shaffer and S Glenn Earl) – The Bears had a huge need at offensive tackle after the retirement of John Tait and the departure of John St. Clair via free agency. Pace has battled injuries in recent years, but he stayed on the field for most of last season for the Rams. But St. Louis lurched into full rebuilding mode, and so Pace was cut. He lands in Chicago, where he will likely start at left tackle unless ‘08 first-rounder Chris Williams has taken 2 or 3 quantum leaps forward. With Pace, Williams, she Kevin Shaffer now on board, the Bears should be OK at tackle this year even given the injury histories of all three guys. It makes sense for the Bears to spend on Pace since so much is riding on Cutler’s performance and thus his protection. Shaffer can be a solid right tackle. His addition gives the Bears the flexibility to put signee Frank Omiyale inside at guard, which would strengthen that spot as well. Shaffer, who was cut by Cleveland, could take the place of St. Clair, the guy who took his spot with the Browns. Earl once had promise, but he missed the last two years with injury. He’s worth a flier on a one-year deal to see if he’s healthy. 9 – Texans (add DT Shaun Cody and LBs Cato June and Buster Davis) – Cody, a former second-round pick, comes to Houston from Detroit as the second key defensive line addition of the offseason for the Texans (along with DE Antonio Smith). Cody will be more of a run-stuffer, but with Smith, Mario Williams, and Amobi Okoye, that’s precisely what the Texans need. Don’t be shocked if Cody isn’t part of the most improved defensive line in the league next year. He won’t be the most important part, but there’s definitely a role for him to play there. June, who has started in Indianapolis and Tampa Bay, is a classic weak-side linebacker in a 4-3 set. He’ll fit in as a likely starter in Houston and should be a minor step up. Davis is from that same system, so he should provide depth as well. 7 – Ravens (kept CB Samari Rolle and QB Todd Bouman) – The Ravens had cut Rolle in a salary-cap move earlier this offseason, and they replaced him (and Chris McAlister) by signing Dominique Foxworth and Chris Carr to join Fabian Washington. Rolle isn’t the lockdown guy he used to be, but he’s a veteran hand who can still fit in as a contributor. Bouman has started in the league, but his value is as a veteran third-stringer who lends some advice and experience to youngsters Joe Flacco and Troy Smith. 7 – Raiders (add QB Jeff Garcia and OT Marcus Johnson) – We’ve seen a lot of backup quarterback moves this offseason (including Kyle Boller to St. Louis and Patrick Ramsey to Tennessee this week), but this is the strangest. First of all, Garcia’s West Coast, dink-and-dunk style is a polar opposite to big-armed starter JaMarcus Russell. And while it might seem on the surface that Garcia could help mentor Russell, that’s never really been Garcia’s deal. He’s a good quarterback who wants to play and play well, and so his own play is his biggest concern. Maybe Garcia, now 39, has had a change of heart, but I doubt it. The temptation for the Raiders is going to be to play Garcia, because he will give them a better chance to win right away. Garcia is apt to fall into that tempting mindset too, which could cause a quarterback controversy. But Oakland must develop Russell if they are going anywhere anytime soon. So this move is just as likely to blow up in the Raiders’ faces as it is to work. But the impact of it keeps it high in this comparison. 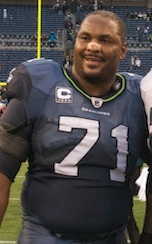 6 – 49ers (add OT Marvel Smith) – Smith was a starter in Pittsburgh, but injuries limited him to just 17 games over the past two years. He now returns home to the Bay Area to replace Jonas Jennings as the 49ers’ right tackle. If Smith can stay healthy, this will be an upgrade for Frisco – bu that’s a big if. 6 (con’t) – Saints (add S Pierson Prioleau and DT Rod Coleman; kept QB Joey Harrington) – Prioleau is a borderline starting safetywho will replace Kevin Kaesviharn. That’s a minor upgrade, but with S Darren Sharper and CB Jabari Greer now in town, the Saints believed continuing the secondary overhaul would help in the long run. Coleman sat out last year, but he is a former Pro Bowler who is reunited with his Atlanta DL coach Bill Kollar. If he’s healthy, he’ll help a lot, but even becoming a situational pass rusher from the inside would be a benefit for the Saints. Harrington is nothing more than a third-string quarterback at this point. 5 – Redskins (kept DE Phillip Daniels; add LB Robert Thomas) – Washington cut Daniels earlier this offseason in a cap-related move but brought him back at a minimum salary. Daniels and fellow graybeard Renaldo Wynn will provide experienced depth at defensive end, and both are still good for 10-15 plays a game. Thomas is a vet who fits in as a backup. 5 (con’t) – Bengals (add DT Tank Johnson) – Johnson’s time in Dallas was fairly calm after his tumultous tenure in Chicago. While off-the-field problems have plagued Johnson, he’s a good rotation defensive tackle with a little bit of pass rushing upside. His talent is an upgrade for Cincy if he can stay on the field. 4- Rams (add QB Kyle Boller and TE Billy Bajema; kept OL Adam Goldberg) – Boller got a horrible rap in Baltimore, and he was far from consistent, but the former first-round pick also showed moments of promise. He comes in as the backup for Marc Bulger, and some teams still think Boller’s upside is worth a shot. I tend to agree. Bajema is a block-first tight end who the Rams want to use as a complement to Randy McMichael. Goldberg isn’t a starter, but he’s a valuable backup who actually started games at four different positions on the line for the Rams last year. He’ll be around as an insurance swingman for the next two years with his new deal. 4 (con’t) – Packers (add C-OG Duke Preston) – The Packers never seem to spend on free agents, so when they sign one it sticks out like a sore thumb. Preston started 11 games at center for the Bills last year, and the Packers think he can contribute at either center or guard. Expect him to be a starter next season. 4 (con’t) – Jets (add CB Donald Strickland) – Strickland, who was in San Francisco last year, has bounced around quite a bit. He’s probably a fourth corner who can move up to nickelback in a pinch. Thankfully, that’s what the Jets have planned for him, as Strickland will be behind Darrelle Revis and Lito Sheppard in the pecking order. 4 (con’t) – Chiefs (add OL Mike Goff) – Goff has been a starter his entire 11-year career, but his play has begun falling off to the point where it might be better for him to come off the bench. He’s proficient at playing guard or center, so he should fit in well as a swingman in K.C. 3 – Lions (keep OT George Foster; add C Dylan Gandy) – Foster, a former first-round pick, lost his starting job last year but is still an OK backup tackle. 3 (con’t) – Browns (add WR David Patten) – Patten won’t replace Joe Jurevicius, who was cut, much less Donte Stallworth, who faces charges after a lethal traffic accident. But this 13-year veteran, who played in Cleveland back in 2000, can be an adequate fourth receiver. This move will help as long as Patten isn’t asked to do much more. 3 (con’t) – Colts (keep LB Tyjuan Hagler, add LB Adam Seward) – Hagler returns to back up at all three linebacker positions, but don’t be surprised if he ends up starting outside. In a year with a lot of change on defense, having Hagler around is a bit of a security blanket for the Colts. Seward is a sturdy inside ‘backer who never broke through in Carolina. He’s slated to back up Gary Brackett in Indy. These moves help, but the Colts still have work to do before their linebacker corps is ready for action. 2 – Titans (add QB Patrick Ramsey) – Ramsey, a former first-rounder in Washington who settled in as a backup in Denver, comes to Tennessee to replace Chris Simms. He’s a favorite of returning Titans offensive coordinator Mike Heimerdinger, who spent time with him in Denver. Ramsey is certainly good enough to back up Kerry Collins, and so his presence will put a lot of pressure on Vince Young to get better. If Young doesn’t, he could be a third quarterback with no chance of seeing the field in ’09. 2 (con’t) – Cardinals (add FB Dan Kreider; kept CB Ralph Brown) – Kreider, a Ram last year, spent most of his career with the Steelers, and so he knows Cards head coach Ken Whisenhunt. He’s a useful role player. Brown is another vet who the Cards are keeping around on a one-year deal. He doesn’t need to start now that Arizona added Bryant McFadden to ’08 rookie sensation Dominique Rodgers-Cromartie, but Brown can fill in as a nickelback in a pinch. 1- Vikings (kept FB Naufahu Tahi and DE Otis Grigsby) – The Vikings matched Cincinnati’s offer sheet for Tahi, a block-first fullback who stepped into the lineup the second half of last year. He allows the Vikings flexibility with their sets and can help pave the way for Adrian Peterson and Chester Taylor. Grisby was non-tendered as a free agent, but the Vikings were willing to bring him back for less money to be a backup. 1 (con’t) – Steelers (kept LB Keyaron Fox) – Fox got a two-year deal to hang around as a backup in Pittsburgh. He’s an asset on special teams, but he’s not special on defense. 1 (con’t) – Bills (add OG Seth McKinney) – McKinney shouldn’t start, but he’s a versatile interior lineman who won’ t kill you in a pinch. Rolle had been with the Ravens for four years, and when he started in Baltimore he was still among the elite corners in the league. But last year was not a good one for Samari (or Doorknob, as I still like to call him). He missed six games because of injury and never was able to get healthy enough to play at an elite level. He wasn’t going to start for Baltimore, so he requested his release. The Ravens also cut Rolle’s fellow starting CB Chris McAlister, and so their secondary is in major upheaval. Baltimore has signed Dominique Foxworth, who will definitely start even though he’s probably not even above average as an NFL starter. The other starting spot goes to Fabian Washington, at least for now. The Ravens tried to do right by Rolle by letting him go as he wanted, but they might have done wrong by themselves in the process. 10 – Rams (cut OT Orlando Pace, WR Torry Holt, and TE Anthony Becht) – Pace played 12 years with the Rams, and was at a high level for most of those. He made 7 Pro Bowls and was a top 5 left tackle for quite a while. (I always considered him behind Walter Jones and Jonathan Ogden but on par with anyone else in the league.) But Pace was hurt much of ’06 and ’07, and he wasn’t the same player when he came back last year. The Rams don’t yet have an adequate replacement, but they figure to take one at No. 2 overall in the draft next month. As for Pace, at this point he’s a marginal starter who would probably fit best as a veteran backup for a contender than as a starter somewhere. He’s also big enough to move to the right side if he’s willing to do so. Becht started 11 games last year but has never lived up to his hype as a first-round pick back in 2000. Holt spent 10 years in St. Louis and played at a high level throughout. He’s made 7 Pro Bowls and compiled numbers that will put him on a Hall of Fame short list when his career is done. While he’s no longer the unstoppable force he was in the Greatest Show on Turf days, he still is an above-average receiver who would be a boon to a contender like Tennessee, Philadelphia, the Giants, or his hometown Panthers (if they ever clear adequate cap space). I’d take Holt over Marvin Harrison in a heartbeat. As for the Rams, they’ve now lost two of the stalwarts of their Super Bowl teams in Holt and Pace. That has to be a huge blow to their fans, who must now hope that these moves will expedite the rebuilding process. The Pace move might, but losing Holt isn’t worth saving what was a fair price ($8M) against the cap. 9- Cowboys (cut WR Terrell Owens, S Roy Williams) — Owens’ release has been huge news this week because he is still one of the best known players in the entire league. He’s a true No. 1 receiver, even though his dominance is starting to wane just a bit. (He’s behind Larry Fitzgerald, Steve Smith, Andre Johnson, Randy Moss, Calvin Johnson, and maybe a couple of others on the wide receiver hierarchy now.) But the idea that Roy Williams (receiver edition) can replace what Owens did is farfetched. The Cowboys will undoubtedly miss Owens’ talents. But few players in the last decade have made the waves Owens has, and that’s something the Cowboys won’t miss. The question is whether the absence of T.O.-related hullaballoo will help Dallas in the end. The Cowboys still have weapons, and they have the talent and the offensive line personnel to be a dominant running team. That’s the approach that will make this cut work. If the Cowboys try to fling the ball around as much as they did last year, the offense will start to sputter because of T.O.’s absence. As for Roy Williams (the safety edition), that move doesn’t hurt nearly as much. Williams was a top-10 draft pick, but he is a safety who plays the run really well and plays the pass unbelievably poorly. Ever since the Cowboys moved to a 3-4 scheme under Bill Parcells several years ago, Williams has been a bad fit for the defense. So moving on is better for him and for the Cowboys. Dallas still needs safety help, but Williams’ tenure had gone so far south that he was never going to be able to provide it there. 8 – Giants (cut WR Plaxico Burress) – Burress delivered on his big salary with the Giants until last year, when he was suspended for chronic disregard for team meetings and then shut down following his hyper-publicized gun incident. He can still play at a high level, but his problems make his ‘09 availability a question. Still, some team will take a flier – for 2010 if not next season. 7 – Redskins (cut DE Jason Taylor) – Taylor battled injuries and only had 3.5 sacks in his year in Washington, and he agreed to be released instead of staying in D.C. in the offseason for the team’s training program. The best analysis I’ve heard on this is that it might have been because he was so misused by the Redskins. For some reason, the Redskins left Andre Carter in the prime pass-rushing position and used Taylor more as a run-stopper. Taylor can still help a team in a pass-rush role, especially if he can save his dancing legs for somewhat limited duty. Washington wasn’t going to use him correctly, but someone will figure out how to. 6 – Panthers (cut CB Ken Lucas) – Lucas was a solid starter in Carolina for four years after arriving as a big-ticket free agent from Seattle. In fact, in his first year as a Panther, Lucas was a top-5 corner league-wide. His physical style fit well in Carolina’s off coverage system. But Lucas has slipped a bit over the past couple of years, and Carolina was ready to move Richard Marshall into the starting lineup across from Chris Gamble. Lucas is still good enough to be at least a starter somewhere else, but given the Panthers’ roster and ultra-tight salary cap situation, the move makes sense. Still, it’s going to be a loss for the Panthers. 6 (con’t) – Ravens (cut CB Samari Rolle and LB Nick Griesen) – Rolle had been with the Ravens for four years, and when he started in Baltimore he was still among the elite corners in the league. But last year was not a good one for Samari (or Doorknob, as I still like to call him). He missed six games because of injury and never was able to get healthy enough to play at an elite level. He wasn’t going to start for Baltimore, so he requested his release. The Ravens also cut Rolle’s fellow starting CB Chris McAlister, and so their secondary is in major upheaval. Baltimore has signed Dominique Foxworth, who will definitely start even though he’s probably not even above average as an NFL starter. The other starting spot goes to Fabian Washington, at least for now. The Ravens tried to do right by Rolle by letting him go as he wanted, but they might have done wrong by themselves in the process. Griesen signed a 3-year deal last year to be an inside linebacker and special-teamer, but he never could make an impact in the defensive 11 last year. He could be a decent backup for someone but not much more. 5 – Jaguars (cut WR Matt Jones) – Jones, a former college quarterback turned first-round pick at receiver, is coming off his best season (65 catches, 761 yards, 2 TD) of four in Jacksonville. But off-the-field problems led to his release. Jones missed three games last year on a league-mandated substance-abuse suspension after a cocaine-related arrest last summer. But recently, he spent a week in jail for violating the plea agreement that resolved that charge by drinking alcohol. It seems that Jones was given an ultimatim and didn’t abide by it. It’s a loss for the Jaguars, who have also cut WR Jerry Porter and let former first-rounder Reggie Williams enter free agency as well. They need to find some wide receiver help and may be hoping that Michael Crabtree falls to them at No. 8 overall in the draft. 5 (con’t) – Dolphins (cut DE Vonnie Holliday) – Holliday is a long-time veteran defensive end who is still an acceptable part of a rotation. But he’s no longer an impact starter, and his Dolphins contract paid him as one. Holliday would actually be a pretty good fit as Taylor’s replacement in Washington or in a similar role where he’s looked at more as a run-stuffer than a pass rusher. 5 (con’t) – Saints (cut FB Mike Karney, CB Mike McKenzie and S Kevin Kaesviharn) – Karney is a good, old-fashioned fullback. He’s not much of a runner outside of short-yardage sets, and he doesn’t catch many passes, but he can block. The Saints replaced him with Heath Evans, who has more skills with the ball in his hands. But Karney has a place as a blocker somewhere. (That somewhere will be St. Louis.) McKenzie used to be a big, physical corner, but he has missed most of the last two years with two separate knee injuries. It makes sense for the Saints to release him and save $4.5 million, especially once they added CB Jabari Greer. McKenzie might have trouble finding work because of his physical situation, but he’s worth noting because his 11-year career was quality. Kaesviharn was let go after the Saints signed safeties Darren Sharper and Pierson Prioleau. He’s an average safety, or maybe a little below that level, and so no great loss. Still, he could hook on elsewhere. 4 – Browns (cut OT Kevin Shaffer) – Shaffer started all but one game over the past three years, playing one season at left tackle before moving to the right side after Cleveland drafted Joe Thomas. He’s probably still good enough to start, and his ability to play both sides makes him even more valuable. He should be able to find a new gig relatively quickly. 4 (con’t) – 49ers (cut OT Jonas Jennings) – Jennings was a big-money signing in San Francisco a couple of years back, but injuries kept him from full effectiveness in San Francisco. He was released to make room for Marvel Smith, who will likely take over Jennings’ ORT spot. 3 – Bears (cut OL Terrance Metcalf) – Metcalf spent 7 years with the Bears after joining the team as a third-round pick, but he never panned out as a starter – getting just 25 starts during his Chicago tenure. Metcalf should have seized a starting guard last year to replace Ruben Brown, but he couldn’t. That’s why he’s gone. He could fit in as a backup elsewhere, but if he doesn’t, it wouldn’t be a shock. 2 (con’t) – Bengals (cut S Dexter Jackson) – Cincy let Jackson, a former Super Bowl Most Valuable Player, go after three seasons. Jackson had started 25 total games for the Bengals in 2006 and ’07 but only three last season. Jackson might be close to being done, but he could also be a solid veteran reserve for a team with playoff aspirations — kind of a “break glass in case of emergency” guy. 2 (con’t) – Browns (cut WR Joe Jurevicius) – Jurevicius has had some productive seasons over his 11-year career, but a staph infection cost him the entire ’08 season. If he can get healthy, he could still step in somewhere as a No. 4 receiver and possession specialist. But health is still a huge question. 2 (con’t) – Steelers (cut RB Gary Russell) – Russell got to play in some short-yardage situations last year because rookie Rashard Mendenhall was hurt, and Russell scored three regular-season touchdowns and one in the Super Bowl, but he didn’t really distinguish himself. He could fit in as a third or fourth tailback for someone, but he’s not really a rotation-quality runner. 1- Chiefs (cut QB Quinn Gray, WR Will Franklin, and LS Jean-Phillippe Darche) – The six-year vet still could be a decent No. 2 quarterback, but with Matt Cassel joining Tyler Thigpen and Brodie Croyle in K.C., Gray wasn’t going to make that roster. But with many other talented quarterbacks still on the market (J.P. Losman, Rex Grossman, Kyle Boller, Byron Leftwich, etc. ), Gray will have a hard time finding work anytime soon. 1 (con’t) – Colts (cut RB Clifton Dawson) – Dawson had a moment or two, but a numbers crunch knocked him out of Indy. He could be a backup elsewhere. 1 (con’t) – Vikings (cut LB Vinny Ciurciu) – This move made me laugh because it reminded me of a story. Ciurciu is a decent backup linebacker and special teamer who got his first real NFL action in Carolina when I was covering the team. The writers on the beat with me always laughed about an interview in which one of Ciurciu’s teammates was talking about him and kept calling him “Choo-Choo” (instead of the proper Chur-choo). So I hope that Choo-Choo gets another job, because a name that good needs to stick around.